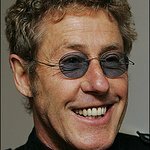 Rock legend Roger Daltrey will perform on Saturday, August 10, as charity concert to benefit Teen Cancer America and part of the Toyota Summer Concert Series at the Pacific Amphitheatre at the 2013 OC Fair. As always, concert and action sports tickets include Fair admission. Tickets for this event went sale Saturday, June 8, at 10 a.m. via Ticketmaster or at the OC Fair & Event Center Box Office, which is open Wednesday 5-9 p.m., Thursday-Friday 10 a.m.-6 p.m., and Saturday-Sunday 10 a.m.-4 p.m. Tickets are available at all Ticketmaster outlets, online at ticketmaster.com or by phone (800) 745-3000. 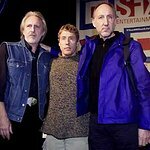 The Roger Daltrey performance on August 10 replaces the originally scheduled Ray Manzarek & Robby Krieger of The Doors with Vocalist Dave Brock show that was cancelled due to Ray Manzarek’s untimely passing last month. Ticketholders of the original show can request refunds from their original point of purchase. Tickets for the original show are not valid for the Roger Daltrey performance. The OC Fair & Event Center is located off the 405 and 55 freeways at 88 Fair Drive in Costa Mesa. For more information, please visit ocfair.com.